A couple of weeks ago, the ubiquitous Jarrett J Krosoczka contacted me about a project he thought I should be involved in. It turns out he was right. 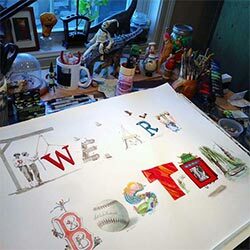 We Art Boston is a fundraising event for the Emergency and Trauma Fund and Boston Children’s Hospital (in honor of the victims of the Boston Marathon bombing). 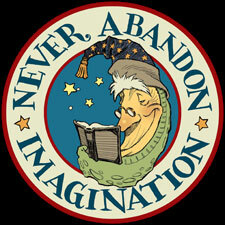 Over 50 fellow children’s book authors and illustrators have donated signed books and original artwork to be auctioned off. And 100% of the proceeds go to the hospital. 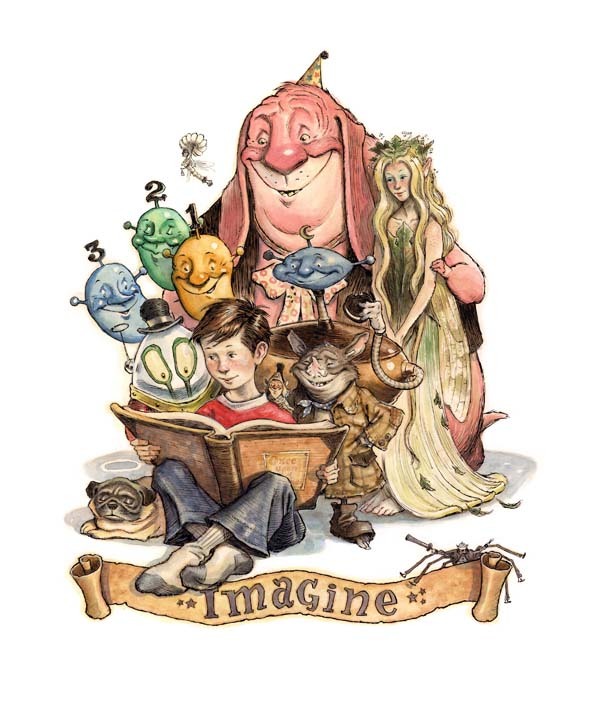 One of the founders of the project, illustrator Joe McKendry, contacted me to participate and I donated a signed Spiderwick book and a rare limited edition print that was only given as a gift to family and friends back in 2006. 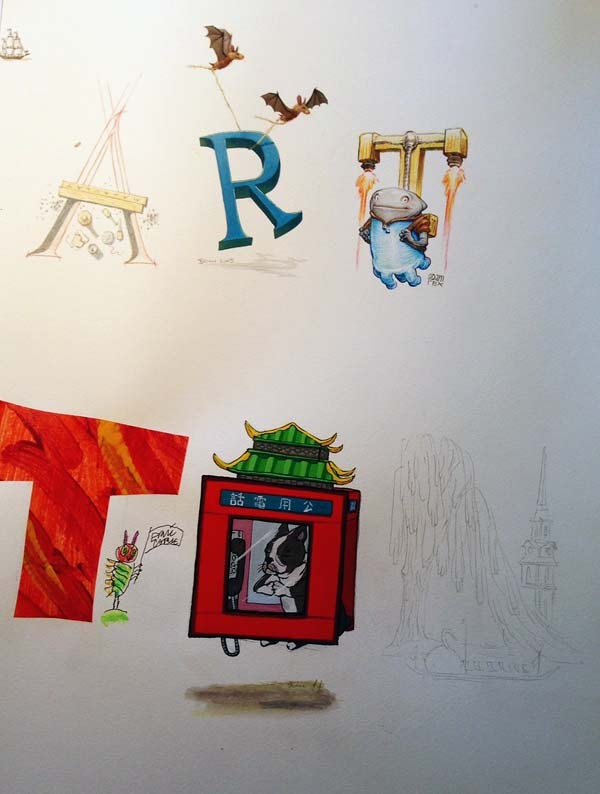 Jarrett, however, had been working with Joe on a collaborative piece in which a gang of illustrators (I think that is the proper term for a group of them…or is it “herd”?) 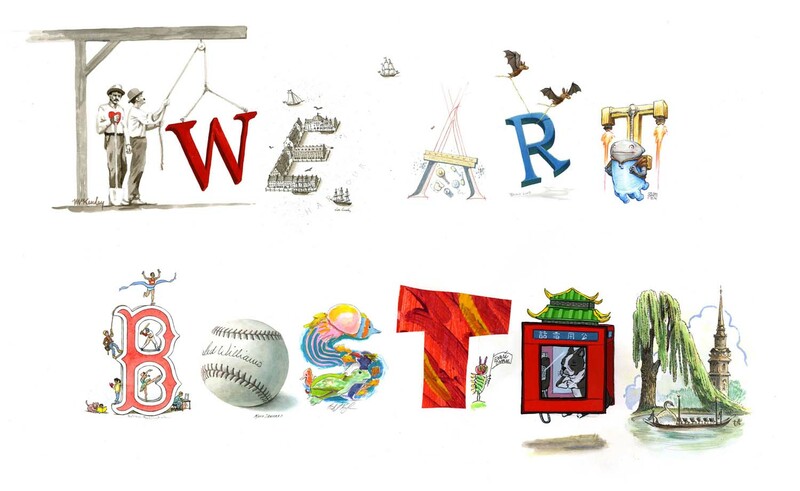 would each render a letter to spell out “We Art Boston”. 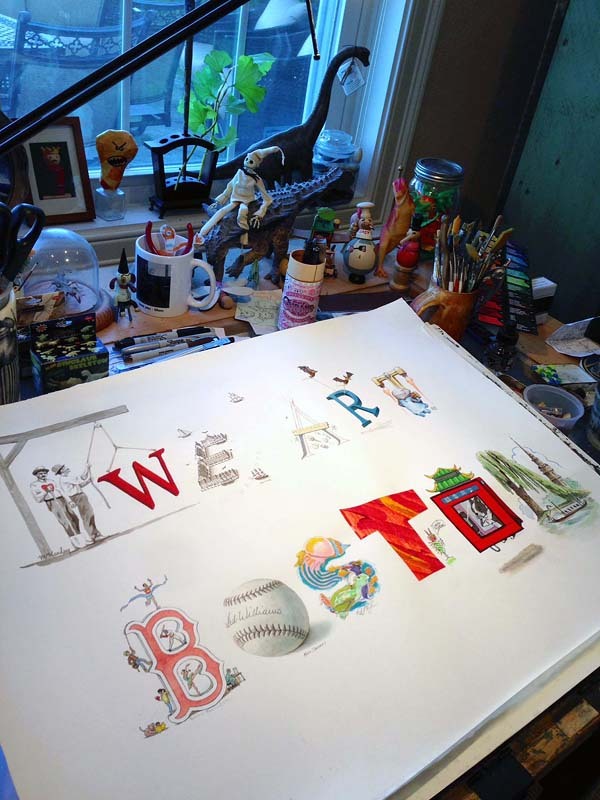 Prints would be made and the one-of-a-kind original would be the highlight of the auction. 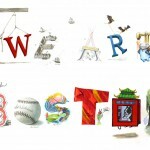 Since I’d been traveling quite a bit, I would be last to participate and would be illustrating the letter “N”. Angela helped me come up with the idea. When we visit Boston, we always try to stop at the Public Garden. I love the vista of feathery willow trees at the pond with swan boats serenely drifting by. Of course, this location is also the setting for two beloved children’s classics – Robert McCloskey’s Make Way for Ducklings and E.B. White’s The Trumpet of the Swan. 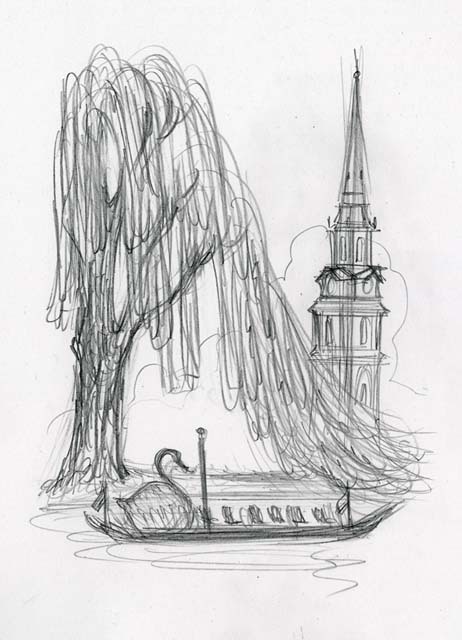 I added the steeple of nearby Arlington church as a landmark to make it distinctly Boston. Here it is on my drawing table while I was working away on it. I did fret a bit that I would be the one to spill ink on it after it had successfully passed through so many hands. Thankfully it made it out of the studio unscathed. I was honored and delighted to be a part of this piece. As a parent and an ambassador for the Starlight Foundation, I am all for helping children’s hospitals. The auction starts on October 10th and runs through the 24th, so participate if you can. There are some great pieces up on the block and it all goes to a great cause.